A Double Gimbal Expansion Bellows utilises two Gimbal Expansion Bellows welded to a middle section of pipe, all in the one assembly. This unit allows for large amounts of lateral deflection in multi-plane piping systems. 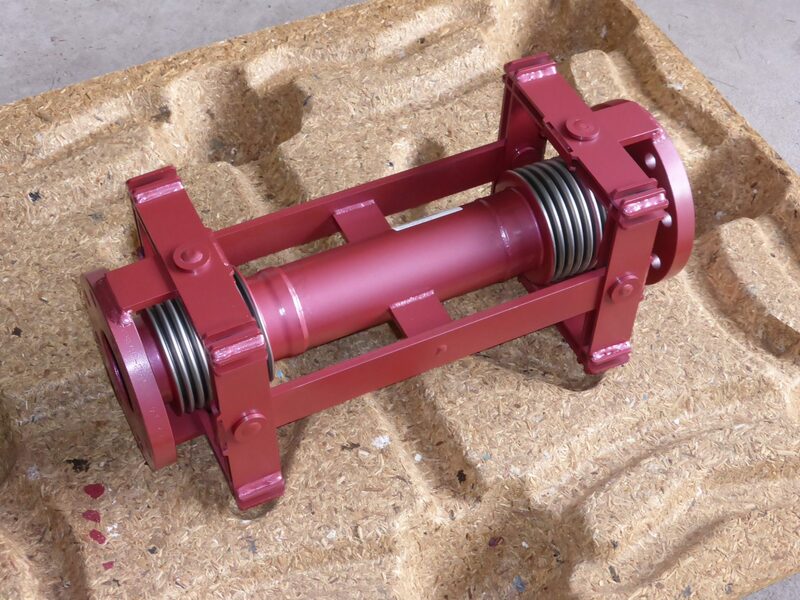 The Gimbal structure absorbs the pressure thrust generated by the bellows, meaning the pipeline does not require main anchors as the DGEB only generates low forces on the piping system. Aflex Double Gimbal Expansion Bellows are an alternative set length assembly that is easier to install than two individual Gimbal Expansion Bellows. DGEB units are generally between 800-1200mm in length, for longer required lengths individual GEB units are used. 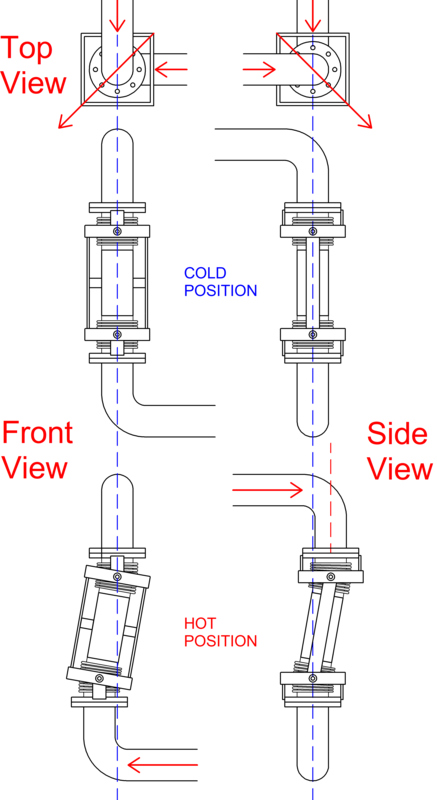 An application of a DGEB can be seen in the diagram above, in which a Double Gimbal Expansion Bellows is used in a 90° pipe leg to accommodate the thermal expansion of two long pipe runs in different planes.